An integral member of the American Abstract movement, Ferren was one of the few American artists who developed his painting style while living in Paris along with such avant-garde figures as Pierre Matisse who hosted a show of Ferren's work in his New York Gallery in 1936, Pablo Picasso who befriended him, as well as Kandinsky and Mondrian who exhibited with him. Ferren would eventually become the president of The Club in New York City, which represented the intellectual center of Abstract Expressionism. He was included in Leo Castelli's seminal "Ninth Street Show" just a year before Outdoors was painted. In the late 1950s, he collaborated with Alfred Hitchcock on the films The Trouble with Harry (1955) and Vertigo (1958), serving as artistic consultant. 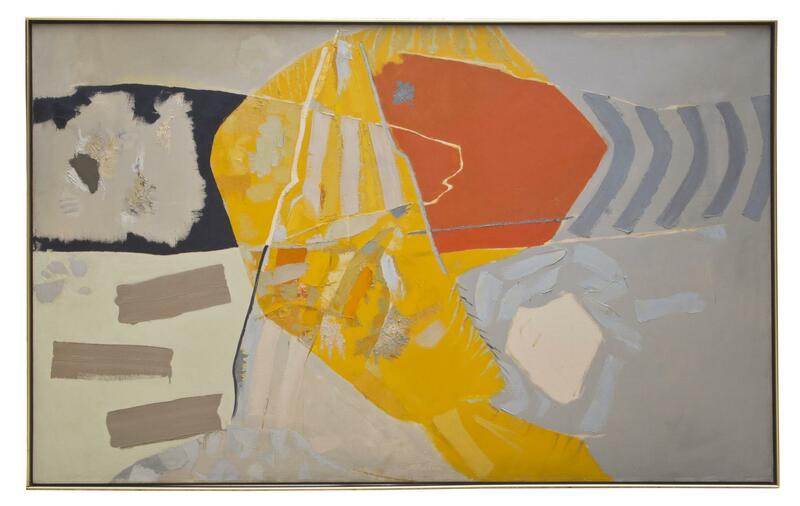 A bold and instinctive feeling for color and its possibilities set Ferren apart from his contemporaries; in all his art Ferren attempted to discover reality apart from sheer appearance. 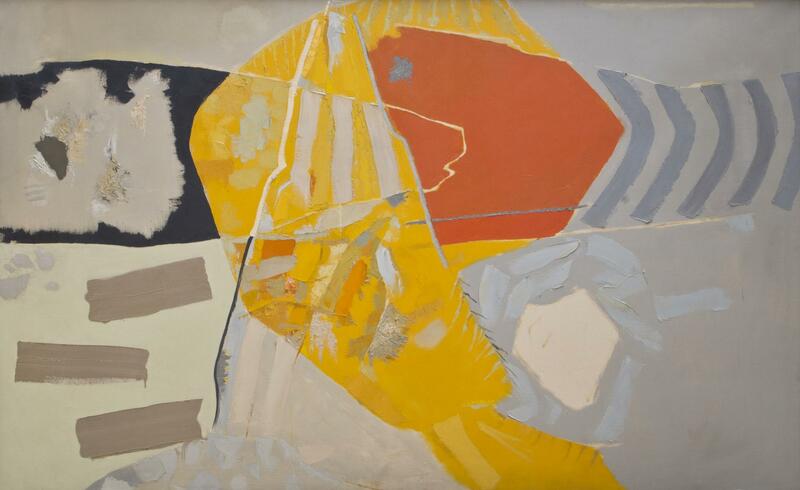 Mojave #1, 1954 was submitted by John Ferren as his exhibition piece to the 1955 Carnegie International in Pittsburgh, Pennsylvania. An integral member of the American Abstract movement, Ferren was one of the few American artists who developed his painting style while living in Paris along with such avant-garde figures as Pierre Matisse who hosted a show of Ferren's work in his New York Gallery in 1936, Pablo Picasso who befriended him, as well as Kandinsky and Mondrian who exhibited with him. Mojave #1, is a freely executed expressionist work that reflects the influence of these figures as well as Ferren's love of Zen Buddhism, I Ching, and Taoism, all Eastern philosophies espousing the spiritual connection between man and nature, introduced to him through his fellow abstract artist and friend Yun Gee and other members of the Chinese community. Such Oriental philosophies promoted conceptions of "spontaneity, chance and unity" that Ferren tried to express in his art works. Ferren's fascination with color is evident in our work where he has carefully balanced delicate pale washes and tones on raw canvas with strongly saturated colors in a highly charged combination that is unmatched by any of his peers.